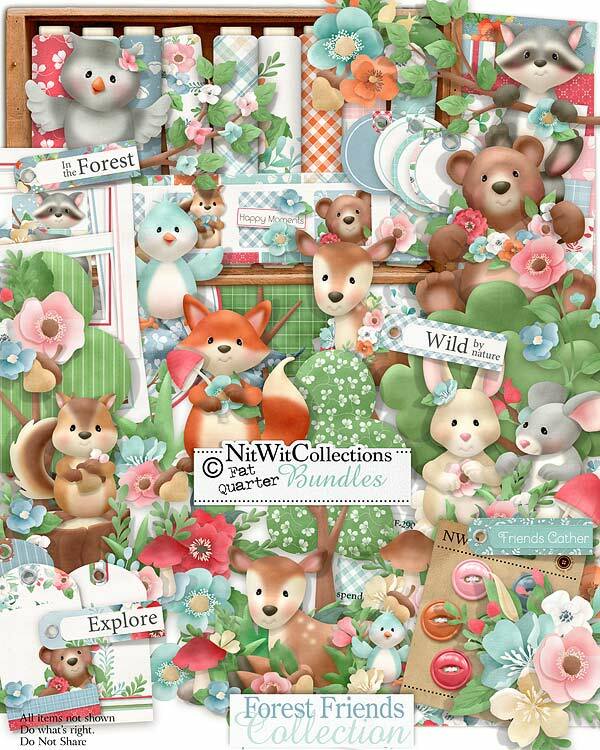 FQB "Forest Friends" Collection is a fun loving outdoors digital kit that will draw you in with our favourite forest animals! 1 Border of our forest animals clustered and inviting you in to create with them! 4 Flower clusters that radiate beauty! 1 Owl perched on a branch....but still watching you! 6 Trees all healthy and leafed out....which one looks just right to you?